To put it simply, it’s all about pride. It’s about pride in what we do, and it’s about the pride we lead. Take a walk around our Coppell office and you’ll quickly notice one thing… lions at every turn. From the giant hand-carved lion in the foyer, to the lion statues and paintings in Brian’s office, you can’t miss them. PrideGroupCo was founded in 2014 as the parent company to what would become the “Pride Group of Companies”. We’ve grown to include numerous subsidiaries in different industries, and we’ve built a base of exceptional clients achieving great things together. Our partners – the companies we work with and alongside every day – are all part of our pride. And PrideGroupCo? We’re the bold leader of the pride, fearlessly supporting our clients and ensuring that they’re positioned for total success. We’re here to lead, protect and represent. And we’re here to go out and do what it takes to ensure that the pride has everything it needs to thrive. We’re both lion and lioness: We’re your fierce presence and your support network. We can be your back office, your executive team, your support system, and your confidante. And we can be the one who has your back, handling the dirty work and managing the day to day. The power of the pride runs through everything we do. It’s integral to how we work – and it’s there in everything from our logo to our office collection of lions. Each one of them is a reminder that the pride is why we’re here. 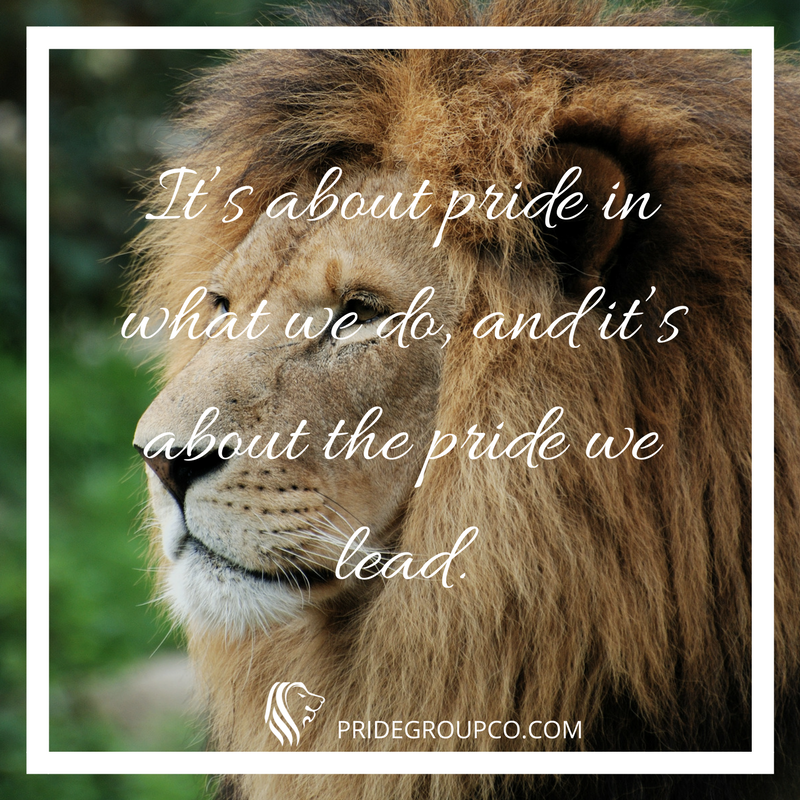 At PrideGroupCo we lead, nurture, facilitate and guide – so that you can grow to do the same. It’s a big world out there. But when you’re with PrideGroupCo, you’re not alone. You’ve got a pride.